Downloading files, images, documents are the most common job we do while browsing the Internet. All, Internet browsers come with a download manager but in most cases these are limited in features and usefulness. If you are an Windows user, you must be using feature-rich download managers like Free Download Manager, Internet Download Manager, Download Accelerator Plus etc. to boost your downloading speed and for additional downloading options. For Mac users, there is Folx. 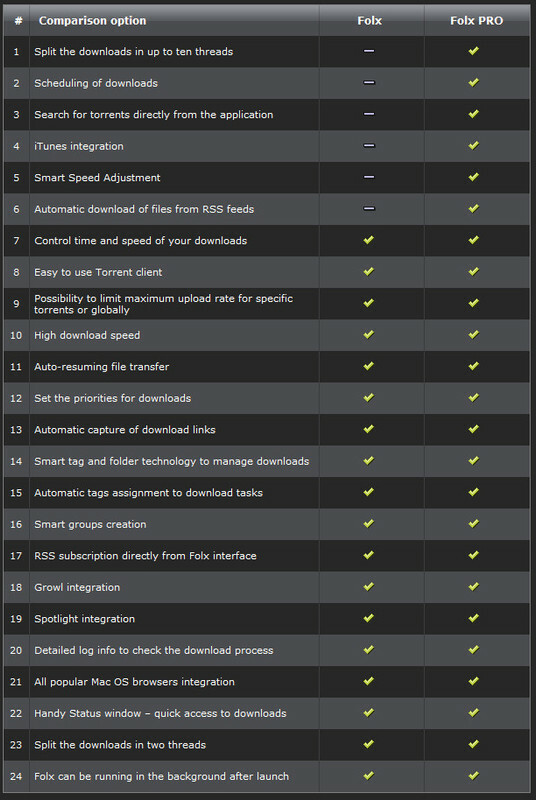 Folx has a free version that does the necessary job of downloading with essential features list while the pro version offers additional power like download scheduling, torrent search, RSS download, splitting download, iTunes integration and Smart Speed Adjustment. Eltima software has done a great job in developing the software! It is also a torrent downloader. 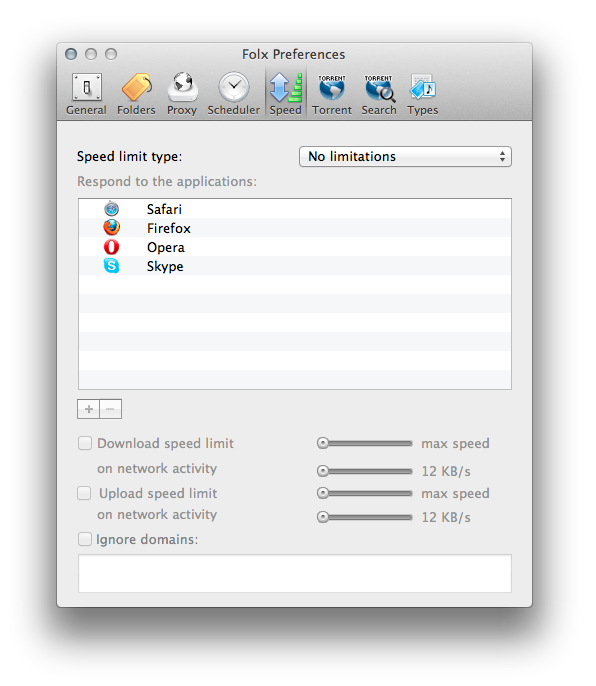 With Folx Pro you can avoid downloading with browser. It integrates seamlessly with all modern browsers in Mac OS. You can even adjust the downloading speed in each browser. 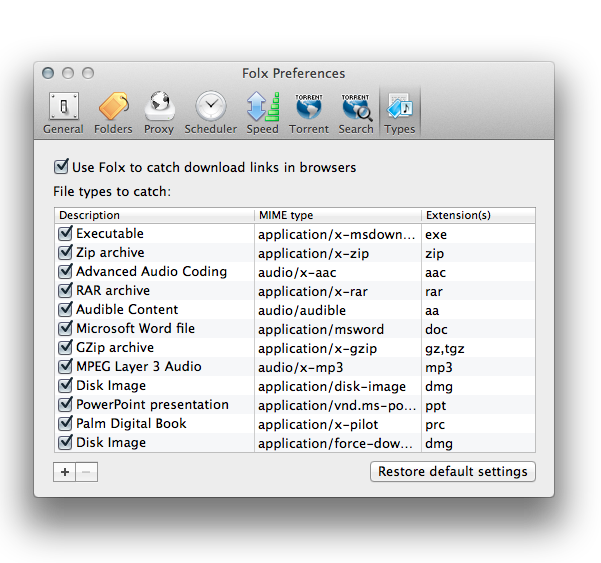 You can also set the type of files Folx Pro will catch. 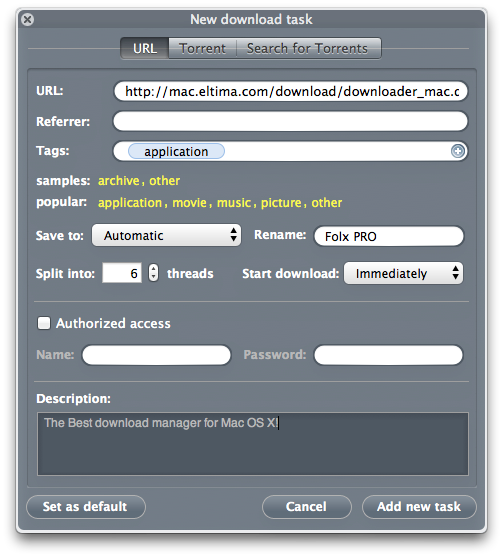 Folx Pro allows you to split downloads into multiple threads, resume downloads, prioritize the most important downloads by just dragging them to the top of the queue etc. You can tag each download which helps in finding it at a later time among lots of downloads. 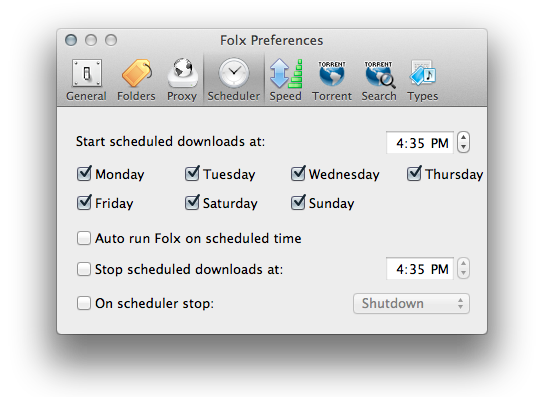 Folx Pro allows you to schedule downloads. You can send downloaded music and videos directly to iTunes and these will be added to the playlist according to the tags assigned to those. You can search for torrents and download those. You can even adjust the downloading speed. 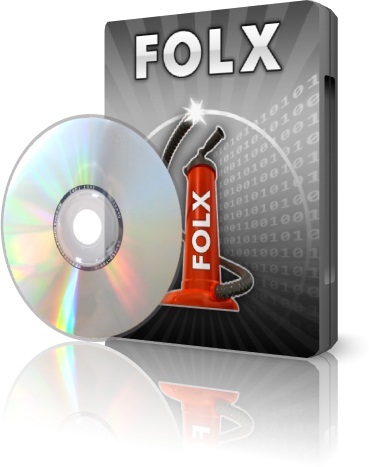 Folx Pro is available for download from the following link. The software is available in both English and Russian. It is compatible with Mac OS X 10.4 to 10.8. Downloaded version is for the free version. You need to register it for using Pro features. You can get 20% and 15% discount during the purchase of Folx Pro, use coupon code FOLX-MD-20 for 20% discount and use coupon code FOLX-TWITTER-15 for 15% discount or use following links. 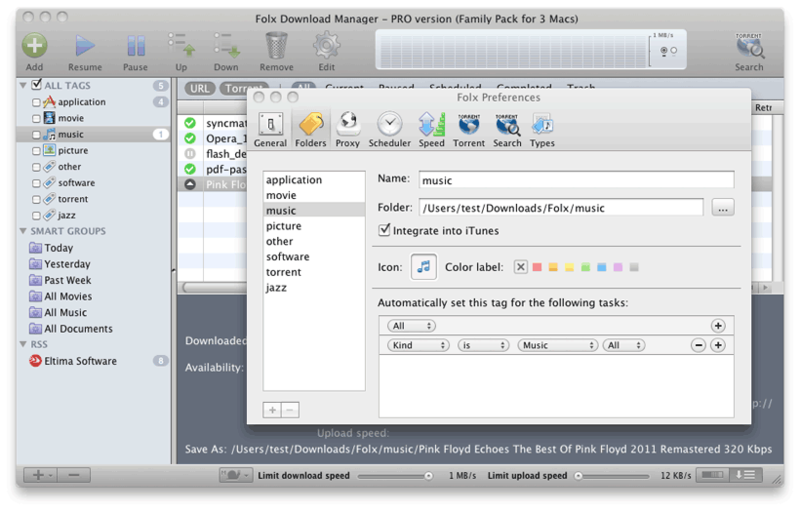 Thanks to Anna Brooks from Eltime Software, I can giveaway 5 licenses of Folx Pro for Mac. This giveaway will be expired in the midnight of 16th Feb, 2013. I will announce the winners at a later date. Winners will be chosen randomly from the contestants list. This entry was posted in Download Management, Free Offers, Giveaway, Macintosh, Software and tagged Valentine Week Giveaways. Thank You for this Giveaway. Please count me in too Sujay.. Thanks For Giveaway.I’d like to try for Mac. Excellent review of the product. Has me sold. Would love to win a license and use this downloads manager on my mac. Please count me in. Useful app. Nice app. Nice giveaway. Count me in. Great Program. Count me in. Thanks. Looks good. Please count me in. Thanks.